Another heat wave is making them Dwarves sweat in the office for a while now. Nevertheless, the preparations for Battle Pass Season 2 have to go on. The guys need to implement changes to the Battle Pass itself, both for the Free Pass, as well as the Battle Pass. And so far it looks like we will see a lot of exciting changes along with even more value for both paths of the glorious Battle Pass. But before we take a look into Battle Pass Season 2, what's up with community-created content? We really love community-created content! Like this one! All credits go to J289 and his skills with pens, paper, Paint and Corel Painter Essentials 6. 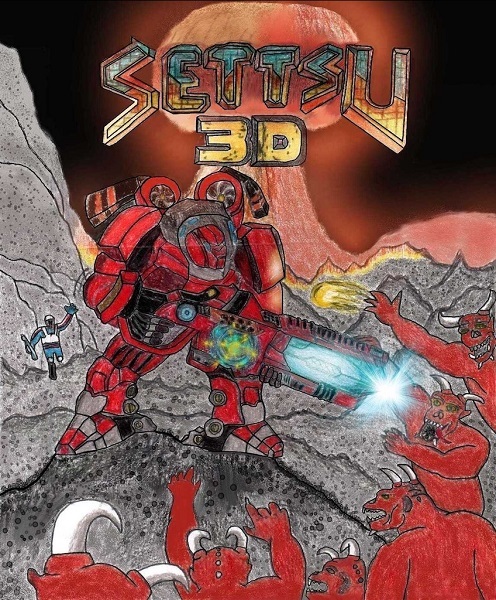 He originally uploaded this fan art On June 20th right here and got inspired by Settsu fighting Demons in a "Doom/Duke Nukem 3D style cover art". We like what we see when looking at this fine piece of art, what do you think? Special thanks to FFA at this point for mentioning this fanart, initially. Would have been a pity if J289's work still would have been flying under the radar. New fashion for your Masters! Look at that! Three Masters, three different approaches two handle the summer heat. The skins you can see in the picture above will be part of Battle Pass Season 2! And it was a real pain to convince Mordar to wear a pirate captain suit and share his staff for a paddle. But in the end, he liked the hat and the bombs, fortunately. He also saw the clear advantages of sailing, when it comes to heat waves. We're still unsure if he will ever be a fan of water, but he will for sure stay a fan of causing mayhem, no matter the circumstances. Ratbo doesn't like sailing, but he found out that being in the water can be quite fun. Or, in his case, being on the water. Recently, he trained surfing a lot and what would possibly fit his new skills better than a surfing outfit? When it comes to Ravager, he just cannot get used to the heat of the summer. He also doesn't like water, nor has he any understanding for sailing or surfing. Cocktails are another story, though! On his mission to keep a cool head, he observed what others do and found out that a Sombrero is exactly what he needed. 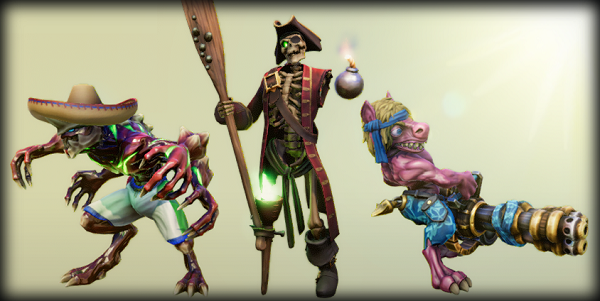 These 3 skins were requested for a long time now. And we're certainly happy to announce them since the theme of Battle Pass Season 2 just fits so perfectly for them. Speaking of Battle Pass season 2: this season will bring more than skins, of course. We have quite some changes for you, such as more rewards in the Free Pass and an insane Tier 69 reward in the Battle Pass. Unfortunately, it's not the time right now to reveal all that! On the other hand, you don't have to wait a long time either, because we scheduled the reveal of the Battle Pass Season 2 for Tuesday, August 7th at 18:00 UTC live on Twitch. Yes! If everything goes to plan, our next Dwarf stream will reveal the skins in-game & the Battle Pass itself. Please note that the Season cards are still work in progress and will most likely not be included on the test branch you'll get to see next Tuesday. For followers of our communication channels, the experiment of using STOMT as the main feedback hub for Minion Masters is no news. And we want to thank our community for using it so far, testing it and giving us feedback. In the end, a main feedback hub can only be of any value, if the community uses it. Thank you for doing so! For those who didn't know about it yet, here's the link to our official Minion Masters page on STOMT. Feel free to leave any feedback about the content of today's blog post! To further encourage you, we will look into integration options for Discord and the Dwarf streams during the testing period of 4 weeks, ending on Monday, August 27th. After this date, we will have to evaluate the platform and their value for our community and us. And it's not about having no more feedback and/or suggestions on other platforms. It's an attempt to funnel a large part of your voices on STOMT, so that we can evaluate and quantify your wishes easier, as well as drawing better conclusions, which will lead to faster decisions. In the end, all of us will benefit from a centralized feedback hub.